Sponsored by the Coalition for Peace & Ethics, the Foundation for Law and International Affairs, Penn State Law and School of International Affairs. Funding provided in part by the Penn State University Park Allocation Committee. These are turbulent times for democratic theory. In the West, intellectuals worry about the continued viability of democratic republican systems in their current form. These worries have been augmented as the strategic behaviors of important actors have begun to push against the borders of democratic structures as well as by a perceived popular malaise expressed through the ordinary channels of democratic participation. The stresses affect democratic governance in a variety of ways. Populism is one label that Western influence leaders use to identify stresses on the processes of mass participation in government, principally through elections. Deep state is what others reference as the portion of the government of states that appear insulated from mass politics. Legalism is what is referenced as the diversion of political discourse within domestic legal orders and their resolution by judicial rather than political bodies. The response to these stresses remain tentative and in the earliest stages of development. The political order is being remade according to rules that are emerging and not clear, or as yet easy to understand. And yet it is clear that what will emerge from these sometimes tumultuous conversations will produce a new approach both to the theory and practice of democratic governance in the West to suit the new era of Western development in its many forms, a Liberal Democracy 2.0. At its core, these discussions touch on the continued development of stable structures that maintain robust and legitimate relations between individuals and the government that serves them, while elaborating systems of accountability and monitoring to suit the times. 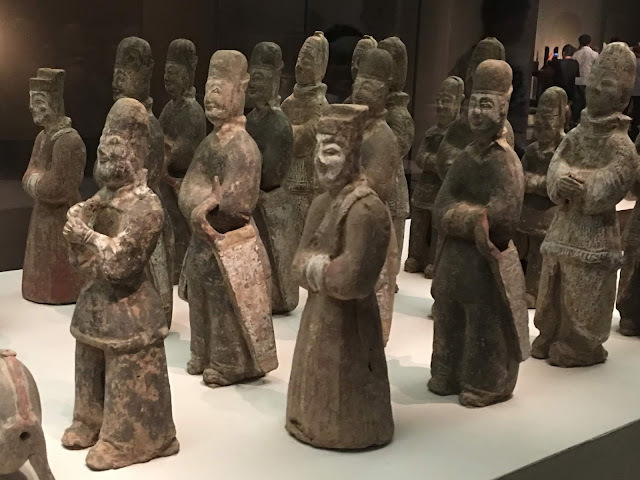 China has also been deeply engaged in this global conversation about the shape and character of contextually legitimate but stable systems that express the core democratic foundation of the state and its government. Chinese leaders have recognized, probably more consciously and directly than their counterparts in the Western, that states and political communities worldwide appear to have moved to a new era in which many of the approaches to social, economic, political or cultural organizations require reconsideration—and adjustment to suit the times. Especially from the beginning of the leadership period of Xi Jinping, China, under the guidance of its vanguard CPC and in sometimes vigorous dialogue with its elite institutions, has turned to the development of its social and political forces with the same vigor with which it sought to develop its productive forces from early in the leadership of Deng Xiaoping. What we now face is the contradiction between unbalanced and inadequate development and the people’s ever-growing needs for a better life. China has seen the basic needs of over a billion people met, has basically made it possible for people to live decent lives, and will soon bring the building of a moderately prosperous society to a successful completion. The needs to be met for the people to live better lives are increasingly broad. Not only have their material and cultural needs grown; their demands for democracy, rule of law, fairness and justice, security, and a better environment are increasing. At the same time, China’s overall productive forces have significantly improved and in many areas our production capacity leads the world. The more prominent problem is that our development is unbalanced and inadequate. This has become the main constraining factor in meeting the people’s increasing needs for a better life. We will advance extensive, multilevel, and institutionalized development of consultative democracy, and adopt a coordinated approach to promoting consultations carried out by political parties, people’s congresses, government departments, CPPCC committees, people’s organizations, communities, and social organizations. We will strengthen the institutions of consultative democracy and develop complete procedures and practices to enable the people’s broad, continuous, and intensive participation in day-to-day political activities. Socialist consultative democracy has been developed around the United Front Parties as well as other representative institutional social organs. It serves as a means through which popular engagement can be institutionalized and made effective. Yet it appears to mean much more than that—integrating most aspects of official life within a tight web of consultation, monitoring, and review guided by the CPC. “In such a vast and populous socialist country, extensive deliberation under the leadership of the CPC on major issues affecting the economy and the people’s livelihood embodies the unity of democracy and centralism. Chinese socialist democracy takes two important forms: In one, the people exercise their right to vote in elections; and in the other, people from all sectors of society undertake extensive deliberations before major decisions are made. In China these two forms do not cancel one another out, nor are they contradictory. They are complementary. They constitute institutional features and strengths of Chinese socialist democracy.” (Quoted from Li Junru, Consultative Democracy, People’s Democracy, China Today March 1, 2018). 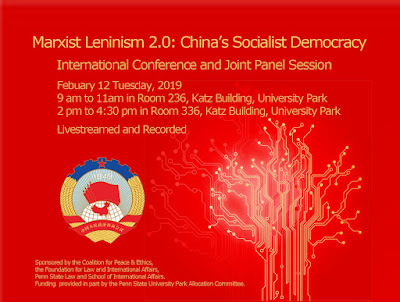 Contributions will seek o theorize this emerging Marxist-Leninism 2.0, and to consider the role of key institutional actors and organs—the CPPCC, the state institutions, and other social and political forces—as well as their relationship to the CPC. Analysis will be undertaken from a Chinese, Western and comparative perspective. The core object of participants will be to seek to extract the fundamental theory and characteristics of the emerging systems, and to point to the likely paths to further development.